PLEASE NOTE I AM POSTING THIS AD FOR AN ELDERLY LADY THAT DOES NOT DO TEXT MESSAGING OR EMAIL SO PLEASE CALL THE OWNER DIRECTLY AT 250-597-1218. Can I get an "AAAAAaaaawwwwww" here folks.. 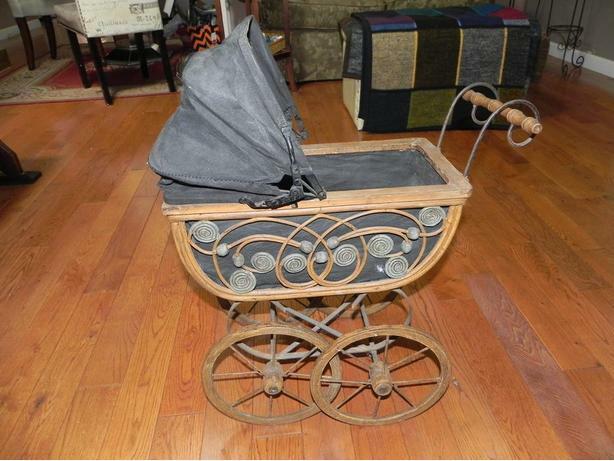 This is an oh so sweet antique doll buggy.. Come on folks you won't find one as nice as this in this condition for under $500 but for you guys the first $100.00 at my door takes home this mint beauty.. This is one crazy low price so act fast cause these babies will not last.